On the outside, the Canon PowerShot G1X looks a whole lot like Canon’s previous G-series cameras. The camera has a retro-like design, though you can easily tell it’s a modern day digital camera and not a rangefinder Leica camera from the 1980’s. Over the course of many years, the 10 previous cameras in Canon’s PowerShot G-series have followed a pretty much tried-and-tested formula: larger than average (usually 1/1.8 inch) image sensor paired with a short but fast lens, full manual controls and, for most of the ten models, a versatile flip-out and swivel LCD display. The Canon PowerShot G-series have been and are geared towards those looking for great image quality in a camera that is smaller and less expensive than purchasing a full-blown digital SLR and bag of lenses. The PowerShot G-series also incorporates the ease of use and scene modes found in Canon’s simpler PowerShot, ELPH and IXUS digital camera models. This has made the Canon’s G-series cameras very hot and popular in the market; suitable for just about everyone from casual users, camera enthusiasts to digital SLR owners looking for a small weekend/backup camera. In the recent years, the line has faced intense heat from digital SLR prices being driven down (you can basically pick up a Canon EOS Rebel T3 or Nikon D3100 with their respective standard lenses included for $500 now) and mirrorless cameras like the Sony NEX 5N and Panasonic Lumix GF3 which have lost a lot of bulk to the point where they’re even smaller (body only) than some fixed-lens compact cameras. This is when the Canon PowerShot G1X comes in with its big sensor to make a splash in an effort to maintain the appeal of Canon’s PowerShot G-series. The new 14 megapixel CMOS sensor on the Canon G1X measures 1.5 inches diagonally which is more than 6 times larger than the old PowerShot G12’s sensor and slightly larger than a Micro Four Thirds sensor on those Panasonic and Olympus interchangeable lens cameras. Along with that big image sensor is a 4X optical zoom lens to match. The lens is equivalent to 28 – 112 mm and has an aperture range of f2.8 – f5.8. That’s not a lot of zoom and slightly dark towards the telephoto end but it’s actually pretty good (there’s a necessary compromise) for a lens which covers such a large sensor, and the lens on the Canon G1X compares favorably versus kit lenses bundled with interchangeable lens cameras. Typically, 18 – 55 mm kit lenses on interchangeable lens and digital SLR cameras are equivalent to 28 – 88 mm and have aperture ranges which are slower: f3.5 – f5.6. There’s also optical image stabilization with the PowerShot G1X, something which is pretty much standard in fixed lens cameras these days. The Canon PowerShot G1X has full manual controls, including a 14-bit RAW image mode which allows you to capture RAW files and process them later on your computer using Canon’s bundled software, or any compatible software of your own such as Adobe Photoshop or Lightroom, ISO range of 100 to 12800, 3 inch LCD with very high-resolution and that can flip-out and rotate for creatively-angled shots as well as two control wheels for adjusting settings. I’ll get into more details about the camera when I publish the full Canon PowerShot G1X review later this week so let’s get right into the comparison. 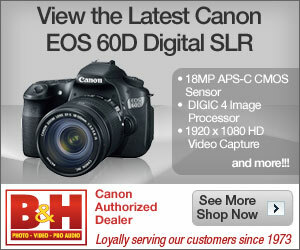 Be sure to check out our article comparing the movie mode: Canon PowerShot G1X vs Canon EOS 7D video mode comparison. The Canon PowerShot G1X has a 14 megapixel sensor measuring 18.7 x 14.0 mm while the Canon EOS 7D has an 18 megapixel APS-C sized sensor which measures 22.3 x 14.9 mm. In other words, the Canon 7D’s sensor is 27% larger in size but also houses more resolution; both cameras are almost even in terms of pixel density within an area. The lens used on the Canon 7D was the Canon EF 24-70 mm f2.8L USM. The photos from both cameras were taken at the exact same location at near the same time (within seconds of each other); typically I shot with the Canon PowerShot G1X in Program mode first (all default settings) and then adjusted the Canon 7D’s exposure settings in Manual mode to match those from the G1X. I tried to compose photos and used focal lengths as similarly as possible on both cameras, though there are issues since the Canon PowerShot G1X takes 4:3 ratio photos, while the Canon EOS 7D’s ratio is a slightly wider 3:2… also, the Canon G1X doesn’t display zoom numbers or focal length anywhere, which made matching the same composition on the Canon EOS 7D slightly more challenging. Digital SLR cameras like the Canon EOS 7D uses less in-camera processing on photos, paired with the fact my copy of the EF 24 – 70 mm f2.8 isn’t exactly the sharpest thing in the world, causes a sharpness difference between the two cameras. High ISO noise reduction was ‘Disabled’ on the Canon 7D and ‘Standard’ on the Canon G1X (you cannot disable high ISO noise reduction on the Canon G1X). The Canon PowerShot G1X produces pretty decent looking photos outdoors, though sometimes colors can look a little dull like in this situation. This is explained by the Canon G1X and its positioning as a prosumer camera, not a point-and-shoot for snap-happy casual users, so it has a reduced tendency to subject photos to heavy in-camera processing. In terms of detail levels, the Canon PowerShot G1X produces very good dynamic range that rivals cameras with APS-C sized image sensors. You can see the Canon EOS 7D has slightly more shadow detail in this photo but the Canon G1X is close in terms of dynamic range. One area of note is that the Canon EOS 7D’s larger sensor is capable of absorbing more light than the Canon PowerShot G1X. This small 1/3 to 2/3 stop exposure isn’t very obvious until we get to the other samples in this comparison. You’ll see, especially in the sample photos of the Guitar Hero drums and guitar set, that given the same shooting conditions and focal lengths, the Canon EOS 7D has an advantage because you can get a slightly faster shutter speed with it compared to the G1X. The photo above demonstrates when a digital SLR like the Canon EOS 7D runs superior to the PowerShot G1X. In terms of sheer detail level, the Canon EOS 7D has an advantage in having a bigger sensor, higher resolution and (affecting things to a certain extent) an expensive Canon L lens attached, as seen in this photo. You can easily make out the individual little ‘dots’ which are holes in the surface of the fencing in the EOS 7D’s photo, but things look mushy and undetailed in comparison in the photo produced by the PowerShot G1X. Once again, the Canon PowerShot G1X looks less colorful by default compared to the EOS 7D, but you can easily adjust things in the camera’s settings area (My Colors). In most everyday shooting situations, the Canon PowerShot G1X is very competitive bigger cameras in sharpness and detail; you’ll be hard-pressed to find a huge difference between the G1X and most APS-C image sensor SLR and interchangeable lens cameras. Image quality of the Canon PowerShot G1X is a subjective matter. It goes neck and neck with some of today’s modern digital SLR cameras but has different noise characteristics. The Canon EOS 7D’s crops look slightly noisier in these sample photos but that is because the 7D’s larger sensor draws in more light at the same exposure settings as the PowerShot G1X. This makes photos look grainier but in real shooting situations, the EOS 7D has an advantage since this lets you use faster shutter speeds or lower ISO values to get the same exposure, hence reducing chances of camera shake or noise, whichever you prefer as a priority. In comparison, the Canon PowerShot G1X subjects photos to some of its in-camera processing to reduce noise at high ISO settings; the photos here were taken at the default ‘Standard’ setting and high ISO noise reduction cannot be disabled. There is one way around this, however, that is to shoot RAW images which leave photos untouched by the Canon’s noise reduction. The trouble is that you will have to process and convert RAW images on your computer into usable JPEG photos, and that takes time and effort – not something that most people will be inclined to do. Check out our Canon PowerShot G1X in-depth review for more details about the camera! The G1X’ lens looks great. I am considering purchasing the G1X as a backup camera and as a main camera for everyday outdoor shooting.